Neurology is the medical specialty which focuses on the diagnosis and treatment of diseases and disorders of the brain and nervous system. A physician who practices neurology is called a neurologist. A surgeon who operates on the brain is called a neurosurgeon, which is a surgical specialty rather than a medical specialty. Neurologists treat stroke patients, as well as patients with traumatic brain injury, epilepsy, Alzheimer's disease, Parkinson's disease, movement disorders, neuromuscular disorders, multiple sclerosis, headaches, and hundreds of other neurological issues, some of which are acute, others of which may be ongoing, or chronic. Neurology is a field that will have an increasing need for practitioners as an aging population will have more incidence of stroke, Alzheimer's disease, and Parkinson's disease. A doctor who wishes to become a neurologist first attends medical school and graduates with a DO or MD medical degree. Then the doctor would complete a year as an intern in internal medicine and three years of residency in neurology. Board certification is conducted by the American Board of Psychiatry and Neurology. They provide specialty exams in neurology and neurology with special qualification in child neurology. Subspecialty certifications are available in brain injury medicine, epilepsy, hospice and palliative medicine, neurodevelopmental disabilities, neuromuscular medicine, pain medicine, sleep medicine, and vascular neurology. Certification is dependent on a three-year cycle of maintenance of certification and examinations every 10 years. 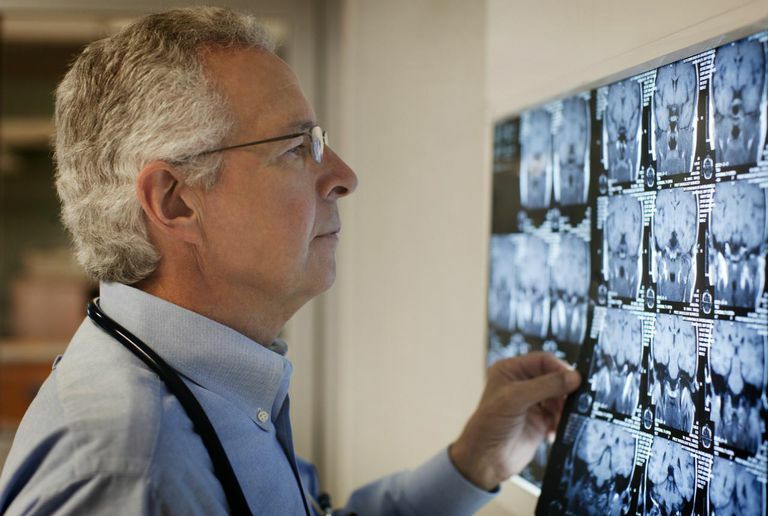 Many neurologists work in private practice as part of a specialty group or multispecialty group. But they may also work for hospitals, the military, and managed care organizations. A patient may be referred to a neurologist for any symptoms that point to the brain or nervous system. These include seizures, confusion, changes in sensation, muscle and coordination problems, headaches, or after a blow to the head. The chief diagnostic procedure in neurology is a very thorough history and physical examination. This is where the reflex hammer comes into play. A patient will get a thorough check of the function of all of the cranial nerves, reflexes, and coordination. The neurologist may order a lumbar puncture to test spinal fluid if the symptoms warrant it. An EEG, CT, MRI, PET scan, or angiography may also be ordered and examined. Neurologists who specialize in sleep medicine may conduct sleep studies. Electromyogram and nerve conduction studies might be done when there is peripheral nervous system symptoms. Neurological diagnoses can take time and elimination of many rare conditions and disorders. It is one reason that the residency for neurology is specific and three years long. Treatments for neurological diseases may be limited, so reaching a diagnosis does not immediately provide a healing path for the patient. Neurologists may see a wide range of patients, from a young adult with a brain injury sustained from sports, a fall, or explosive device in a war zone, to an elderly patient showing signs of dementia, or a child with a seizure disorder. How Much Money Does a Neurosurgeon Make?